The writing “zone”: Pinnacle of FUN! Who’d have thunk it? Writing fiction is FUN! For Day 17 of the 5-Week Author Blog Challenge, we discuss the biggest surprise in writing our books. All 35 posts for this Challenge will be focused on writing, publishing, and book marketing. I hope you’ll stick around through all 35 posts. And if you want to take part, come on in – the water is great! You can register here. What has been the biggest surprise about writing/publishing your book? What has been the most enjoyable or most memorable aspect? Hands down and without a doubt, the most surprising thing about writing my first novel, Stan Finds Himself on the Other Side of the World, is how much FUN it’s been. When I first sat down to begin the 3-Day Novel Contest at 12:01 a.m. on Friday, September 3, 2004, I had a vague idea of what would happen to my main character. Then, I got in the zone. Yep – that zone. The one athletes talk about all the time. Yep – that’s what I experienced. And it surprised me to no end. Writing had always been easy for me, but it had never been fun. This – creating characters out of whole cloth – was a blast! The gnarled old fisherman wasn’t there a moment ago, and now he is. Interacting, advising, foreshadowing. And it kept going that way, new characters coming to life before my eyes. Until I hit Asia – a continent about which I have little personal knowledge, but which Stan would have to visit if he were truly to circumnavigate the globe. Fortunately, I got through that too. Then, thinking I was nearly done with the first draft, I was reading Chuck Wendig’s ebook, 250 Things You Should Know About Writing, on a plane trip back to New Jersey to visit my son. Much like Steven Pressfield does in The War of Art, Wendig smacks you upside the head and tells you what you need to know to improve your craft. Point #6 of Section 2, “25 Things You Should Know About Plot,” fell on me like a collapsing brick wall: In life we avoid conflict; in fiction, we seek it. I think I scared the lady next to me when I yelped and smacked my hand over my mouth like I’d just seen a big, fat, hairy spider. Oh, my god – my novel doesn’t have nearly enough conflict! Back to the drawing board – the word picture drawing board – for a number of additional scenes and characters. But, also, back to the fun! Since beginning this novel, I’ve come up with ideas for at least a half-dozen others. I totally understand how and why people want to make their living as writers in a way I could never appreciate when I was writing exclusively nonfiction. When contemplating writing a screenplay (which we actually started a few years ago! ), my sister and I used to joke about the funny situations we experienced that would make good movie scenes. Now, they get filed away as perfect enhancements for my present and future novels. I can’t wait to finish Stan off (no, he doesn’t die at the end) and get started on another world with new fictional friends. What’s been your most challenging or surprising experience with your book or manuscript? Share the details in the comments section below! For a lifelong writer, putting the words of my novel down on paper was a new kind of challenge. For Day 16 of the 5-Week Author Blog Challenge, we examine our biggest publishing challenges. All 35 posts for this Challenge will be focused on writing, publishing, and book marketing. I hope you’ll stick around through all 35 posts. And if you want to take part, come on in – the water is great! You can register here. What has been the most challenging part of your book process: writing, building the book, printing, distributing, marketing, etc.? What do you wish you’d known before you began? I have been blessed, in that for as long as I can remember, writing has been easy for me. I’m not downplaying the significance of the struggle some authors/writers experience. I hear nearly every day from people who say something along the lines of, “I’d love to write a book, but I just can’t arrange my thoughts on paper.” I typically suggest they try “talking” the book instead of writing it. Sometimes answering questions from an impartial person and transcribing the interviews is the way to get your thoughts “on paper.” For others, a long list of bullet points can turn itself into a book with the help of a good editor/writing partner. Fortunately, I’ve never had to rely on any of those techniques, because writing has always been like breathing for me. I just do it – I don’t think about it, slave over it, worry about it, dread it, or procrastinate it. My brain can organize words and I can almost always get what I’m thinking to read exactly the way I intend it. And yet … writing a novel has proven to be my biggest creative challenge to date. Now, I will make the caveat that I think it’s less the writing than it is my audacious choice of subjects for my very first novel: sending a 30-year-old guy (I was a 37-year-old woman when I began writing this story) around the world (he visits 23 countries; I’ve been to five of them). And yet, I was inspired to write this story as my first novel. Parts of it have actually been easy. It’s a fairly straightforward travel account, so once I decided which countries Stan would visit, the outline pretty much wrote itself. I have good organizational skills, so even with the inclusion of a generous number of flashbacks, keeping track of who did what when has just been a matter of adding notes to the timeline. Describing places I’ve never been, based on other travelers’ videos and images and blogs – and making it sound like I know what I’m talking about? That has proven quite tricky in places. The good news is that the writers’ block seems to have resolved itself, so the words are flowing again. Another helpful bit is that I’ve got more marketing ideas than I have time – so I’m already certain of Stan’s success, even though he’s still being shaped. I’m targeting January 8th for the book’s release. Stick around. More details to come. Here’s to meeting the challenges head -on! Organized chaos? What’s your method for outlining and keeping your story on track? Virtually every author, fiction or nonfiction, needs a method for outlining and staying organized. Day 10 of the 5-Week Author Blog Challenge asks our bloggers to describe their outlining and organizational processes. All 35 posts for this Challenge will be focused on writing, publishing, and book marketing. I hope you’ll stick around through all 35 posts. And if you want to take part, come on in – the water is great! You can register here. Sometimes, the desire to write the book shows up before we even know what the book will be about. That was somewhat the case for me with Stan Finds Himself on the Other Side of the World. It was also the case for my friend, Joe Torres. Joe’s been attending the Phoenix Publishing & Book Promotion Meetup (PP&BP) for a few months, and every time he comes, he’s made some significant progress on his book. A couple sessions ago, he described his outlining process: grabbing several huge sticky-back sheets of poster paper, slapping them on the wall, and recording the ideas for his first novel as fast as they come to him. My process was a little tamer. Mind you, there is NO right way or wrong way to do this. It’s just important that you have an outline of some sort and know who your characters are, where they came from, what they did yesterday, what they will do tomorrow. My story is about a man who travels around the world, visiting 23 countries over the course of a year-and-a-half. It’s an audacious undertaking, as I personally have visited five of those 23 countries. Which means the book required research. Back in 2004 when I began writing, the Internet was still young and there were no such sites as TripAdvisor.com or LonelyPlanet.com. But there were Lonely Planet travel guidebooks, and I used them heavily in the planning for Stan’s trip. 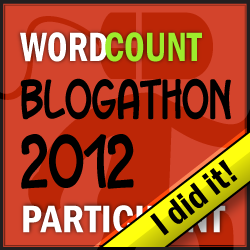 As I mentioned yesterday, the novel began as a submission for the 3-Day Novel Contest. The rules prohibited writing ahead, but allowed participating authors to construct a full outline before the contest got underway. So I spent the three days prior to the contest ensconced in travel books up to my eyeballs, deciding where Stan would go, and how he would get there. Knowing I’d never been most of the places he would go, I made a deliberate decision to keep many of his visits off the main tourist thoroughfare. For example, he doesn’t go to London, Paris, Rome. Of course there will always be a reader who’s been there to catch me up on an error or inaccurate description, regardless of where Stan travels – but why give them extra ammunition? I have had several globetrotting friends as beta readers, asking them to check the descriptions for accuracy. The reports thus far are that my depictions are quite good, particularly for my not having visited most of these places in person. Since the novel is told partially in flashback, I also had to create a timeline so that I could keep track of Stan’s past. When did his dad leave? When did he graduate from college? Get his MBA? Start dating Gretchen? Meet Paula? As new details find their way into the story, I add to the timeline. It’s just a Word document, stored in the “Stan” file of my computer. I’ve tried Scrivener, and it seems like a great tool for someone who needs a lot of help to get and stay organized. I was already so far into my novel by the time I came across it, though, that moving all the information into the Scrivener system seemed like more work than reward. Fellow author C.K. Thomas wrote a blog post for the PP&BP blog about the importance of writing character profiles, something I would not have initially thought to do, but now consider a worthy time investment. The tool you use to organize your outline, keep your characters straight, and move your plot in the right direction is unimportant. What’s important is that you do those things. Readers notice inconsistencies, like moving a scene from the beginning of the story to somewhere toward the end, but forgetting to remove subsequent mentions that now pre-date the original mention of the episode. They notice when a character started out as a Boston native, but somehow and inexplicably morphed into a guy who’s originally from L.A.
A screenwriting system I learned from Jeff Schimmel could easily be applied to novel writing. It involves a couple of decks of index cards. One set is for the characters. Each character gets a color, and every detail about the character is recorded on a different card. Physical description, significant relationships, education, hobbies, etc. Another set of cards is for the scenes. In Stan Finds Himself on the Other Side of the World, it would make sense to use a different card (or set of cards) for each country Stan visits. Dialogue goes on another set of cards. What eventually emerges is a storyboard – a graphic organization system that allows you to pre-visualize the story. Please be sure to check out my next post, which overlaps quite a bit with this one: about my research process for #StanTravels. Here’s to staying organized in your writing! Back in 2008, I bought a book called A Book Is Born, which presents the stories of 24 authors and how their books came to be, from idea to publication. Day 9 of the 5-Week Author Blog Challenge asks our bloggers to offer descriptions of their books’ genesis. 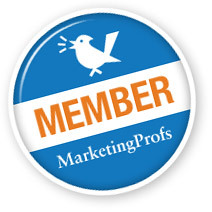 All 35 posts for this Challenge will be focused on writing, publishing, and book marketing. I hope you’ll stick around through all 35 posts. And if you want to take part, come on in – the water is great! You can register here. Describe how the idea for your book first came to you. Where were you? Who was the first person you told? How did they respond? The idea for Stan Finds Himself on the Other Side of the World came in increments. The precipitating event was dinner with a good friend. He’s one of the best people I’ve ever known, but life circumstances made him very security conscious. If you know anything about the Enneagram personality typing system, he is a 6. I laughed – which annoyed him. “No I’m not,” he pouted, unwilling to admit I was right. And then the conversation eventually drifted to another topic. So I started a story about a guy who sets off on a trip around the world. I got four paragraphs written. Contest. It takes place every Labor Day weekend, beginning at midnight on Friday night and running through midnight on Monday night. If you’ve been reading my previous Author Blog Challenge posts, you know that I was a nonfiction major, and fiction was never my strong suit. Nevertheless, I decided I could spare three days to give novel writing a try. Then, I had to come up with a story I could tell in three days. Enter Stan. The contest rules said that the entire work had to be created that weekend. You couldn’t pull out an old manuscript, dust it off, and submit it. I’ll admit a wee bit of cheating, in that I had four paragraphs already written before the contest kickoff. But the rest – 107 pages – I wrote over those three days. Tomorrow I’ll tell you the process of researching and outlining the book. Those two positive responses kept Stan alive for me throughout the years. He’s getting there, now. Hell, I wrote past the biggest episode of writers’ block I’ve ever experienced just a couple days ago. So now it’s onward. And upward. And outward, into the vast, vast world around which he traveled. 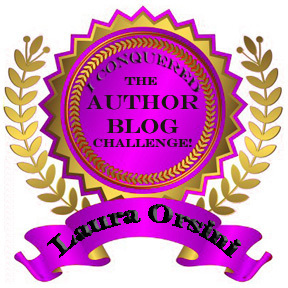 For the record, I’d love your feedback on my Author Blog Challenge posts! And, of course, would really love to have you support all of the bloggers in the Challenge. Find their links here. Here’s to your book idea, and getting the damn thing written!